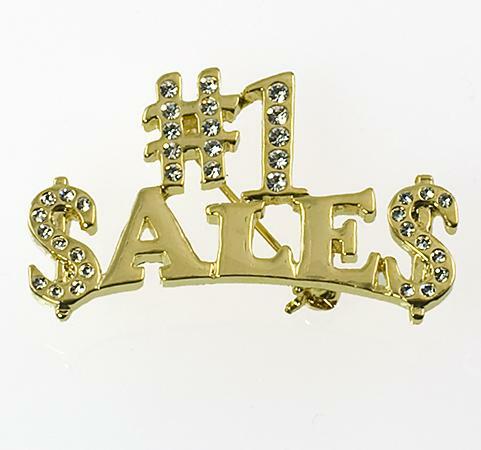 Get your message out with this "#1 Recruiter" Pin in gold finish and accented with Austrian clear crystals. Makes a great award for a Top Producer! Measures approximately 2.25 inches wide.